Balance among electrically charged atoms and molecules is essential to maintaining chemical equilibrium in your body. Potassium is the most abundant, positively charged atom inside your cells. Because acids and potassium both have a positive electrical charge in your body, their concentrations are interdependent. Medical conditions that cause an overabundance of acids in your blood, known as acidosis, may affect your blood potassium level, and vice versa. Metabolic acidosis is an abnormally low blood pH caused by overproduction of acids or failure of your kidneys to rid the body of acids normally. With metabolic acidosis, your blood has an abnormally high level of positively charged hydrogen atoms, or hydrogen ions. To reduce the acidity of your blood, hydrogen ions move from your circulation into your cells in exchange for potassium. The exchange of hydrogen for potassium ions helps relieve the severity of acidosis but may cause an abnormally high level of blood potassium, or hyperkalemia. Drs. Kimberley Evans and Arthur Greenberg reported in a September 2005 article published in the "Journal of Intensive Care Medicine" that there is a 0.3 to 1.3 mmol/L increase in blood potassium for every 0.1 decrease in pH with metabolic acidosis. Correction of the underlying medical problem responsible for metabolic acidosis typically leads to normalization of your blood pH. Although blood potassium is typically elevated with metabolic acidosis, a substantial amount of your total body potassium stores can be lost through the kidneys, causing a total body deficit. As your blood pH returns to normal, potassium moves from your bloodstream back into your cells. If your total body potassium stores have been depleted, your blood concentration may drop to an abnormally low level as you recover from a bout of metabolic acidosis. Potassium replacement is commonly administered during your recovery to prevent this complication. Renal tubular acidosis (RTA) is a group of kidney disorders characterized by abnormal processing of hydrogen ions and other charged particles that affect your blood pH, leading to increased blood acidity and abnormal blood potassium levels. With RTA types 1 and 2, your blood potassium level is usually low. A high blood potassium level, however, occurs with RTA type 4, which is the most common form of the disorder. Metabolic abnormalities leading to acidosis commonly cause rapid breathing, which helps rid your body of acidic carbon dioxide. Severe acidosis may cause confusion, profound lack of energy and coma. Although hyperkalemia usually does not cause symptoms, you may experience nausea or an abnormal heart rhythm. Low blood potassium may cause muscle spasms, weakness, constipation and an abnormal heart rhythm. 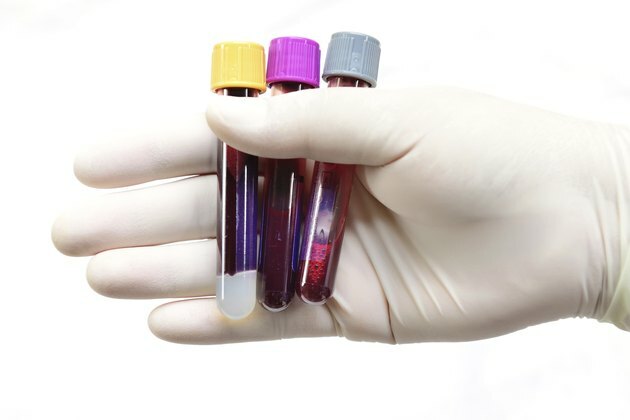 Blood tests establish the diagnosis of acidosis and potassium abnormalities, so talk to your doctor if you suspect you have this condition. DrKaslow.com: Potassium; Jeremy E. Kaslow, M.D.